The shops have been filling with Christmas gifts over the past few weeks and I'm sure it won't be long before we start hearing Christmas songs on the radio (.. I'm secretly quite excited about that one!) I've spotted some great products available exclusively at Selfridges which are perfect for beauty lovers this Christmas! The Beauty Advent Calendar is the beauty addicts ideal way to countdown the season. It contains 24 luxurious mini products across some of the most popular make-up, skincare and fragrance brands including Lancome Mini Juicy Tubes, Kiehls Hand Salve, Viktor & Rolf Flowerbomb Fragrance and Shu Uemura Brightening Cleansing Oil. 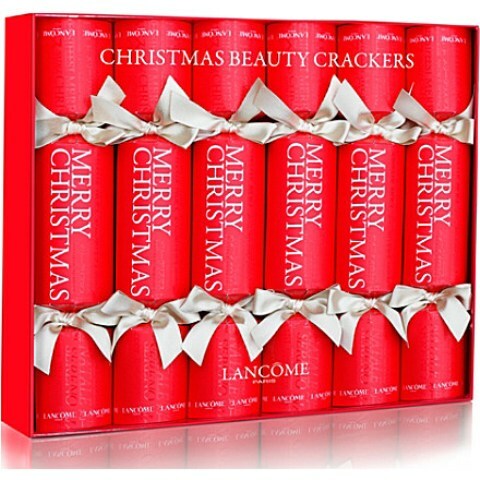 Lancome have created this special set of Christmas Crackers containing their best selling products in mini sizes. They're the perfect addition to your Christmas table this party season! The crackers include Hypnose Mascara, Bi-Facil, A Mini Juicy Tube, Visonnaire, Genifique Youth Activating Concentrate and a Mini L'Absolu Rouge ßx Lipstick 06. What products would your ideal beauty advent calendar contain? That set looks amazing! So luxurious! Yay! I can't wait till Christmas! I love the look of the Beauty Advent Calender, it's beats chocolate any day!